The music, the bands, the hair! 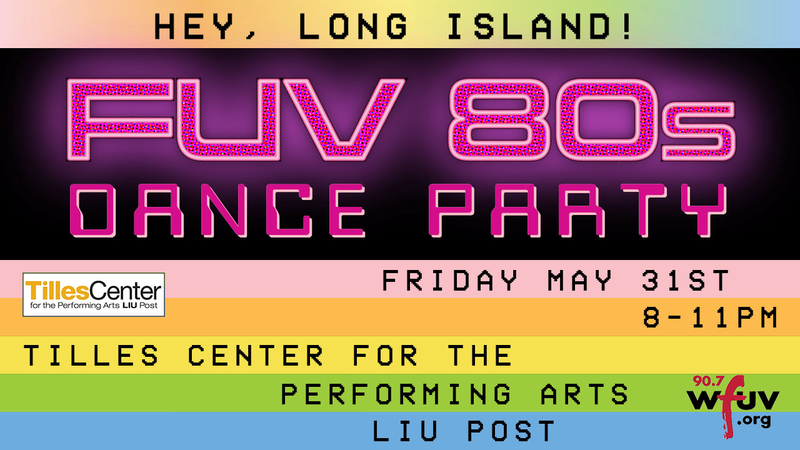 Friday, May 31 we're bringing the boogie to Long Island, at the Tilles Center at LIU Post. Bring your friends and your best dance moves! It's a benefit event for WFUV Radio. Featuring WFUV DJs Darren DeVivo, Eric Holland and Russ Borris. Giveaways all night and you can enter to win a pair of tickets to an awesome Summer Festival! ...or at the Tilles Center box office, Monday-Saturday, 1-6pm, 516.299.3100, to purchase with no additional fees.